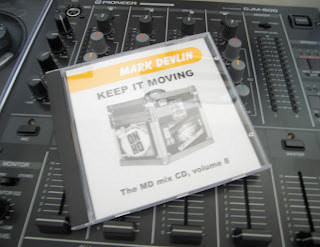 September's instalment sees a re-visit to 2001 for the appearance of 'Keep It Moving'. This was the first official volume to appear on CD, all previous offerings having been on cassette only. Loads of tuneage from the time that you never hear on radio or in clubs any more - Ja Rule? QB's Finest? Joe? Mystikal? Some nice reggae runnins on the revived Pum Pum riddim to kick off part 2, and to finish, a set recorded live at the much-missed Temple Theatre in Dublin. This venue was legendary back in the day.